Spotify CEO Daniel Ek has opened up about streaming as a viable income source, noting that now is a better time than ever for artists to make a living from digital music platforms. Ever since streaming became the most popular way for music-lovers to discover new tunes, artists have hit back at the services for the lack of money the musicians actually receive in the process. While artists like Disturbed’s David Draiman and Car Seat Headrest have defended services like Spotify, others such as Portishead have previously noted how they received a paltry $3,280 from 34 million streams. Now, in a recent appearance on the Freakonomics Radio podcast (via Billboard), Spotify CEO Daniel Ek has discussed a number of topics in regards to the streaming platform, including making podcasts a priority, and the livelihood of artists. 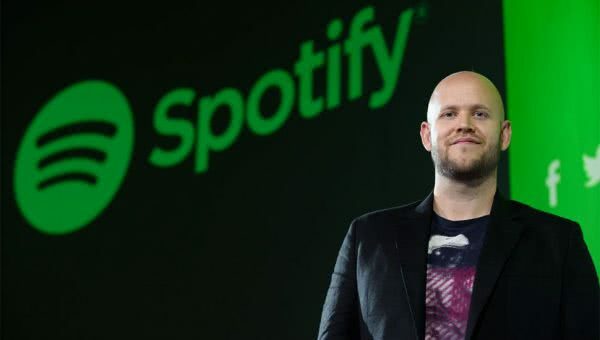 Noting how easy that Spotify has made the distribution process, Daniel Ek claimed that a “far greater” number of artists now are able to make a living off of their music than ever before. “Back in 2000, 2001, at the very, very peak of the music industry, peak of CD… Our estimate is that there were about 20 to maybe 30,000 artists that could live on being recorded music artists,” Ek stated. Despite this though, there are a number of artists who believe that the game is rigged against them, and claim it’s almost impossible to carve out a sustainable music career in the streaming age. Back in February, Misfits guitarist Doyle Wolfgang von Frankenstein noted how he is forced to partake in meet and greets just to help him gain the cash he says he doesn’t make from streaming.